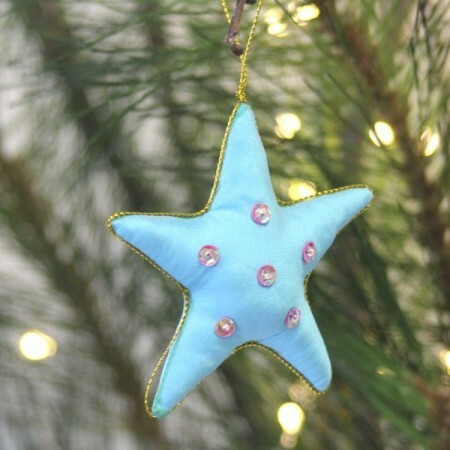 A handmade star christmas decoration made from reclaimed fabric off-cuts from the garment district in Cambodia. 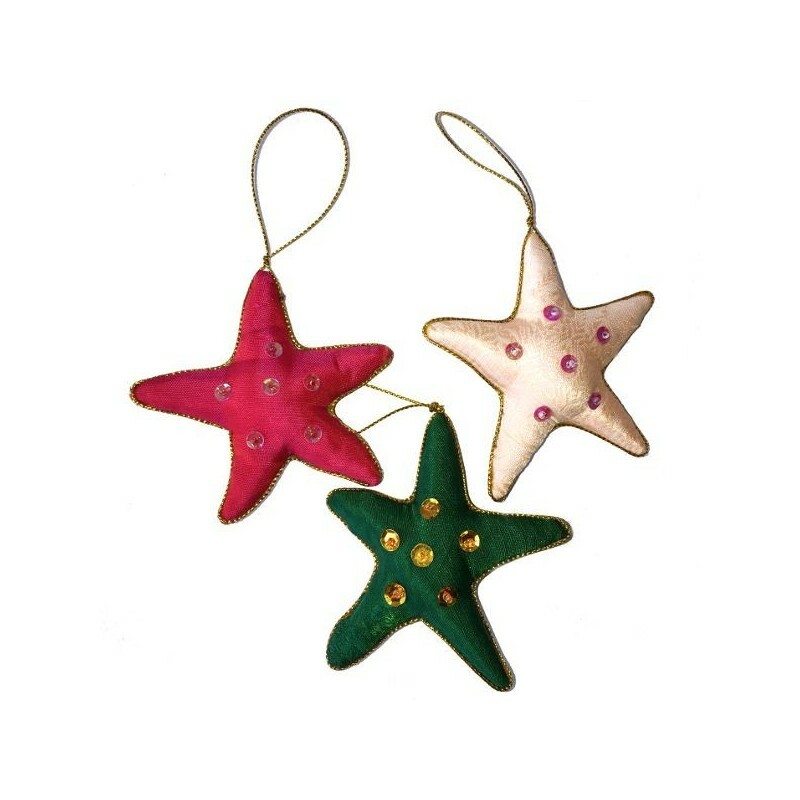 The fabric for these decorative stars would otherwise have ended up in landfill. Various colours. Approx 5cm in diameter. Various materials. 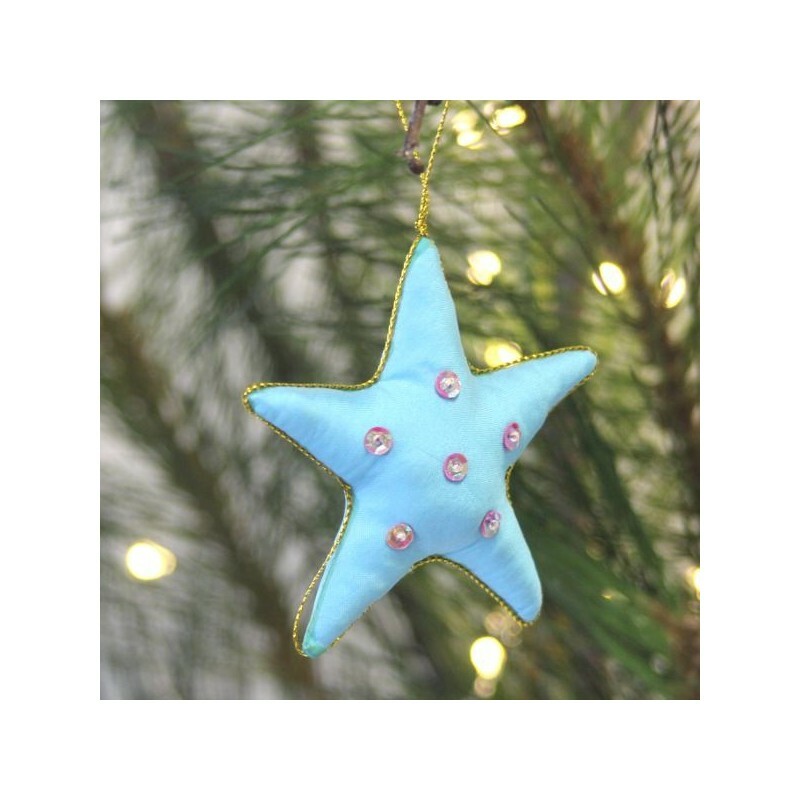 Lovely ornament, am going to buy more.